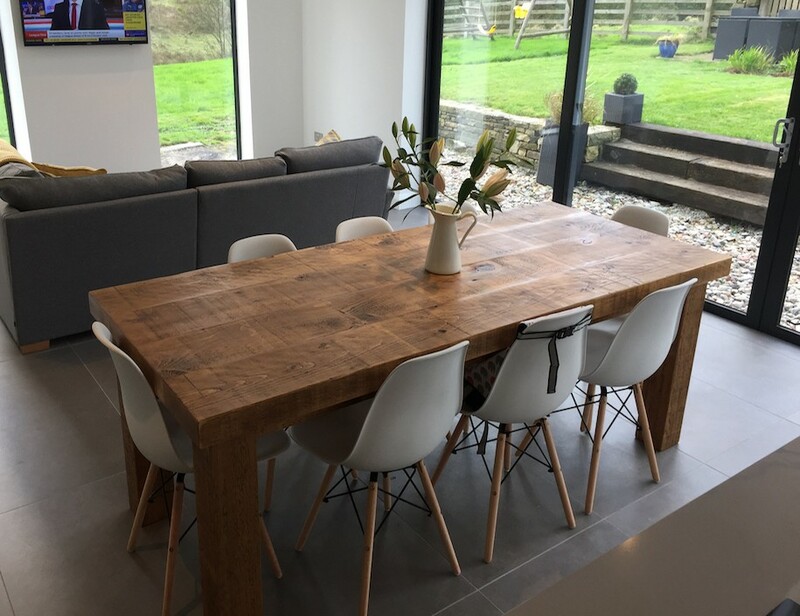 The Alpine 2" Top Table is a beautifully crafted, customisable piece. 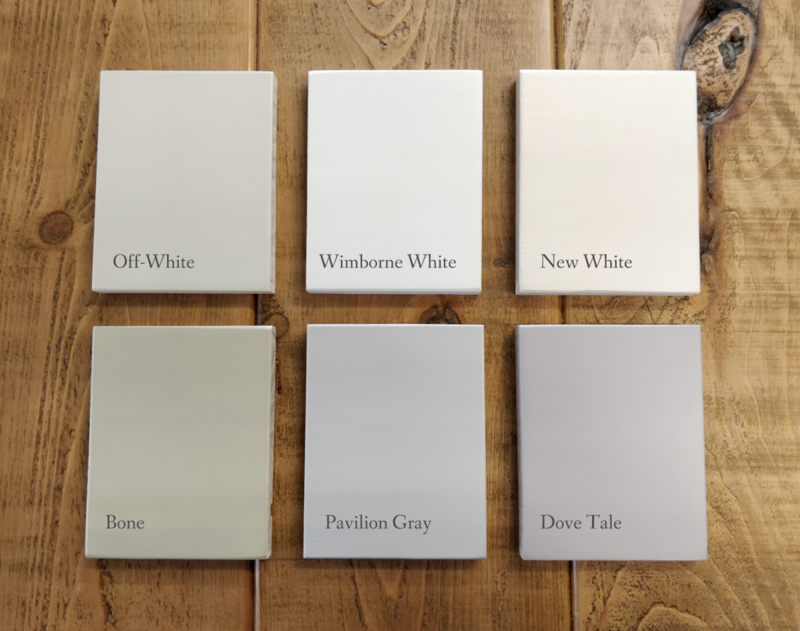 It is available in the Farrow & Ball colours; Off-White, Wimborne White, New White, Bone, Pavilion Gray, or Dove Tale. Please contact us if you require another colour. 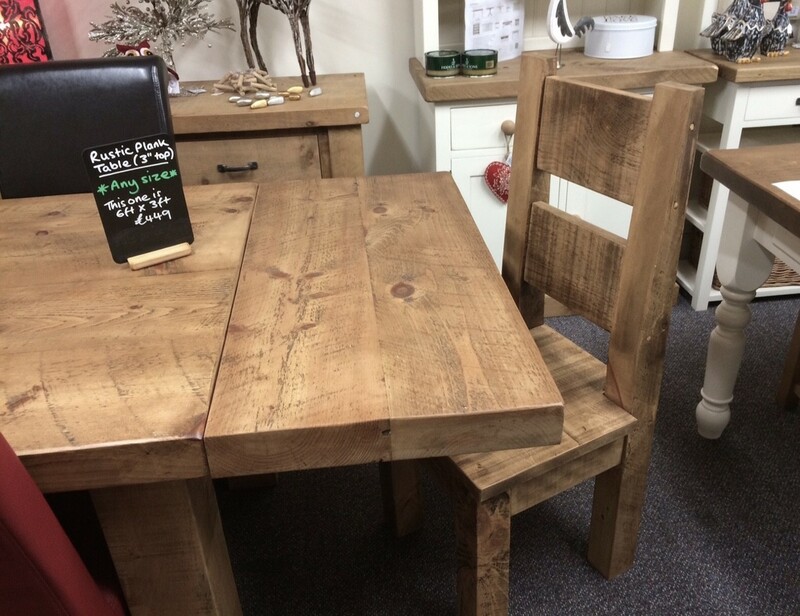 This Alpine table has a contrasting rustic finish top, made from chunky solid two-inch thick planks, bringing a fresh take on the traditional. 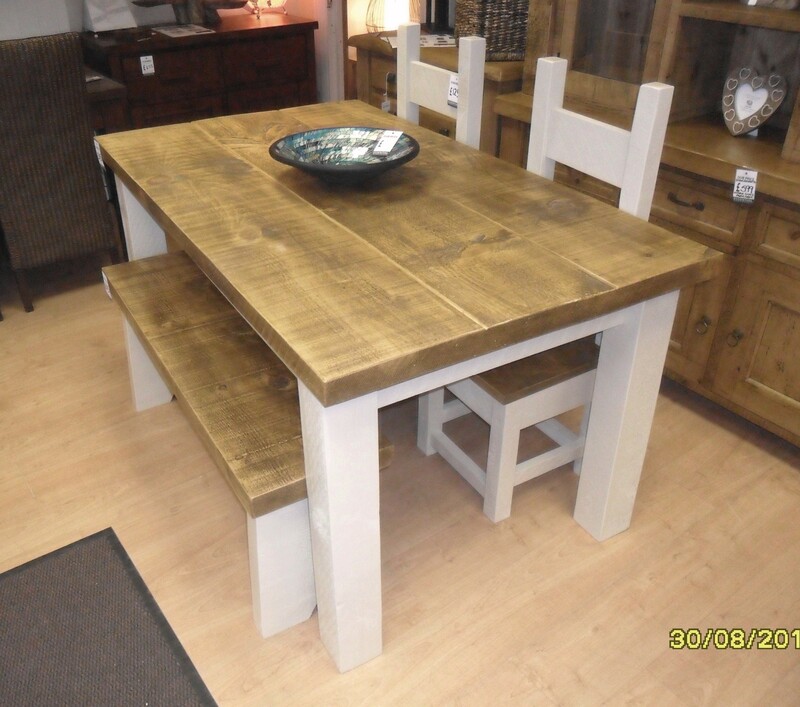 The Alpine range consists of our more rustic painted pieces. 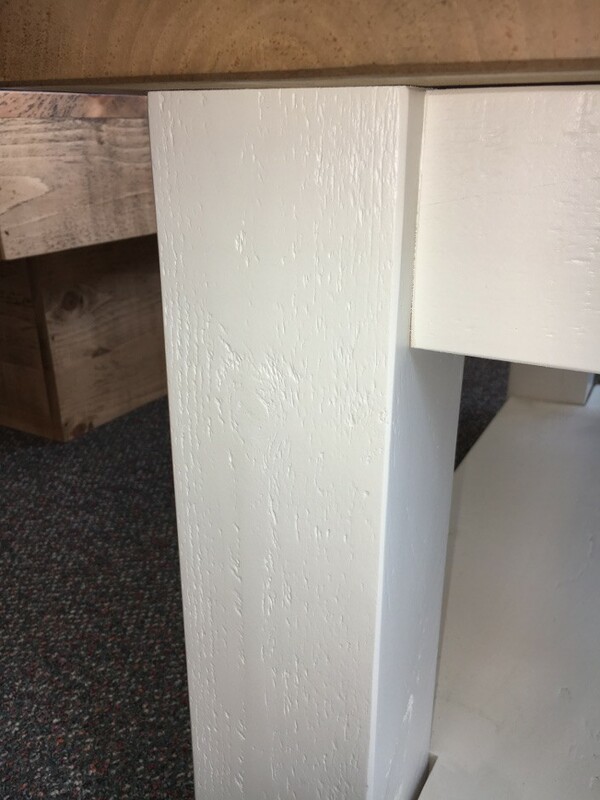 These are treated with knotting solution prior to painting, however the knots and grain do sometimes still emerge. 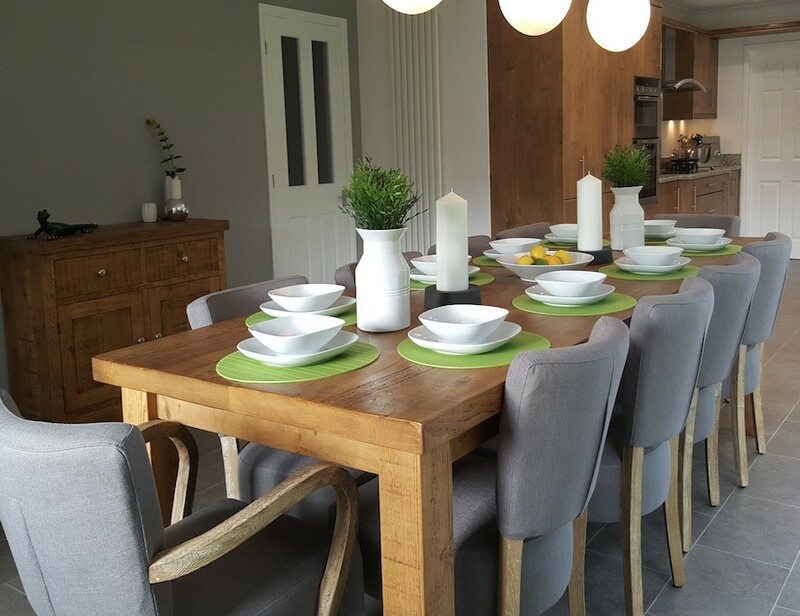 If you would prefer painted furniture with a smooth finish, take a look at our Aspen range. 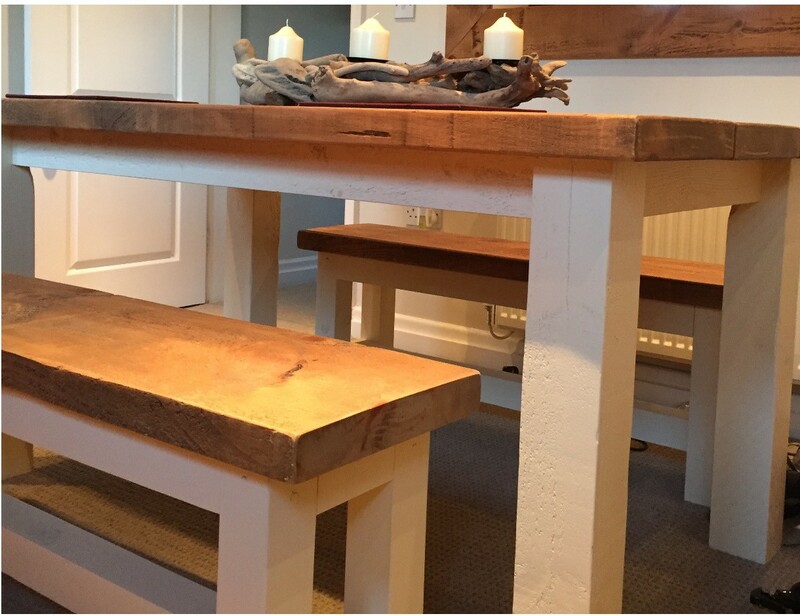 Each 100% solid wood table is hand crafted by our own team of joiners, using slow-growing Quebec Pine. This Canadian timber is sustainably sourced and selected for its density and straight, attractive grain. 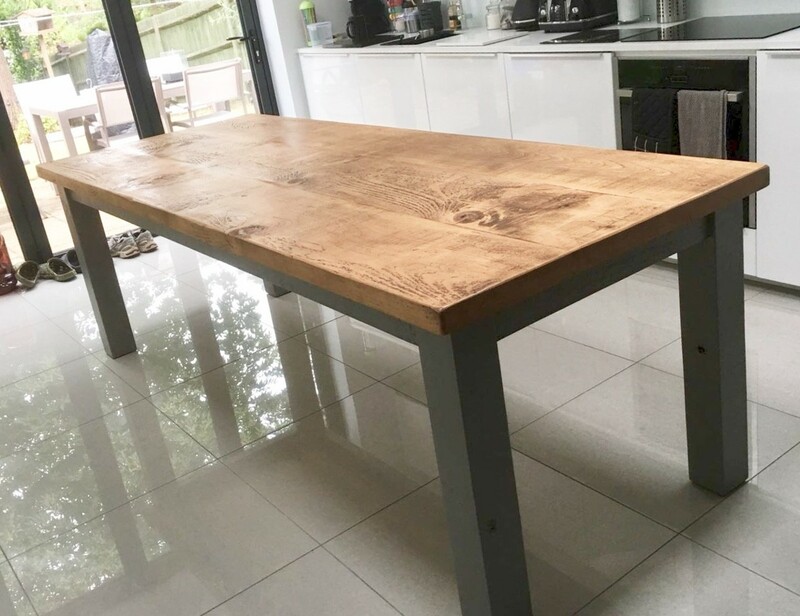 This is hand waxed to enhance its natural characteristics, giving our unique Raw Furniture finish. These pieces are made to last, with a ten-year structural guarantee. 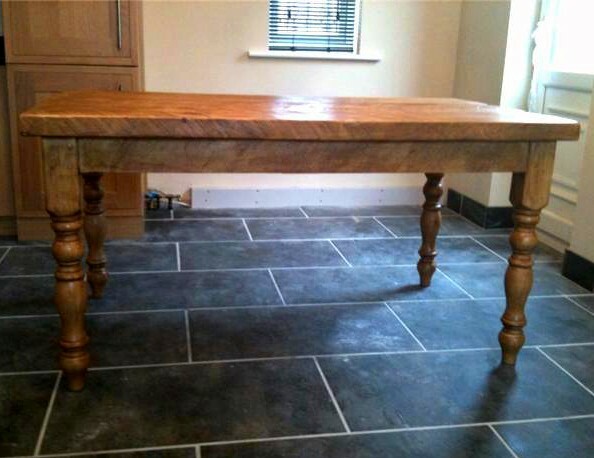 Extensions are available and will be handmade by our joiners to match your table. 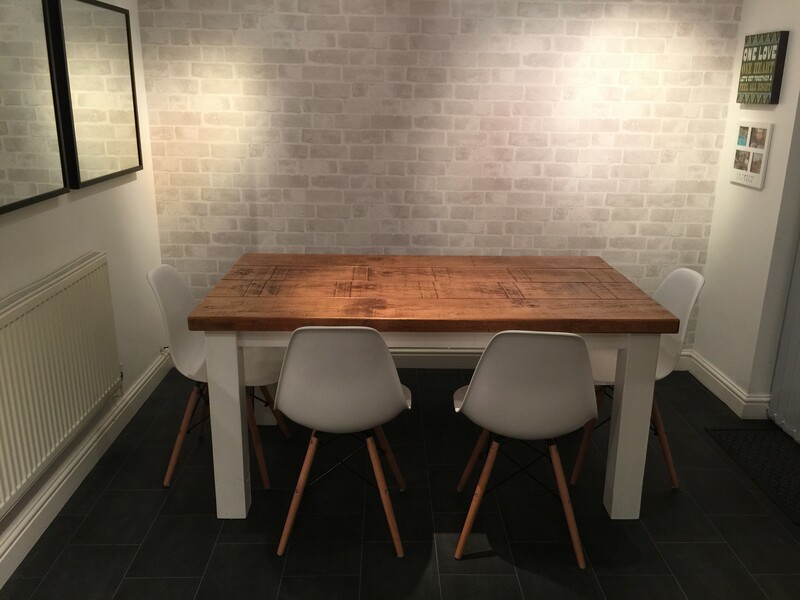 The 12-inch/30cm extensions provide extra space at the ends of tables, while the 18-inch/45cm extensions allow an additional chair on each side of the table. 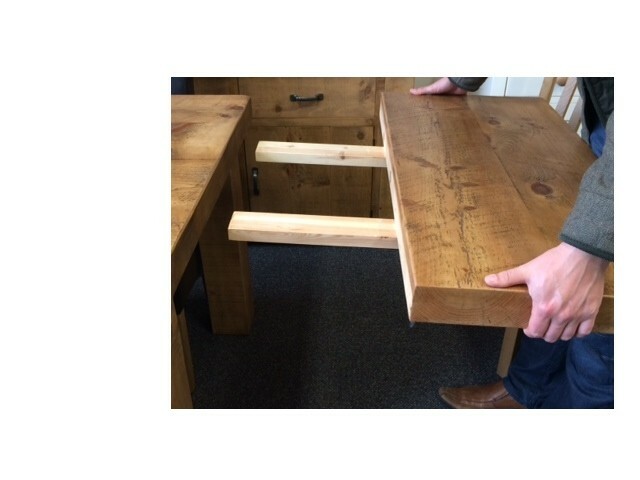 Extensions must be made at the same time as the table to ensure the brackets match the extension arms. When not in use, the extensions need to be stored separately. 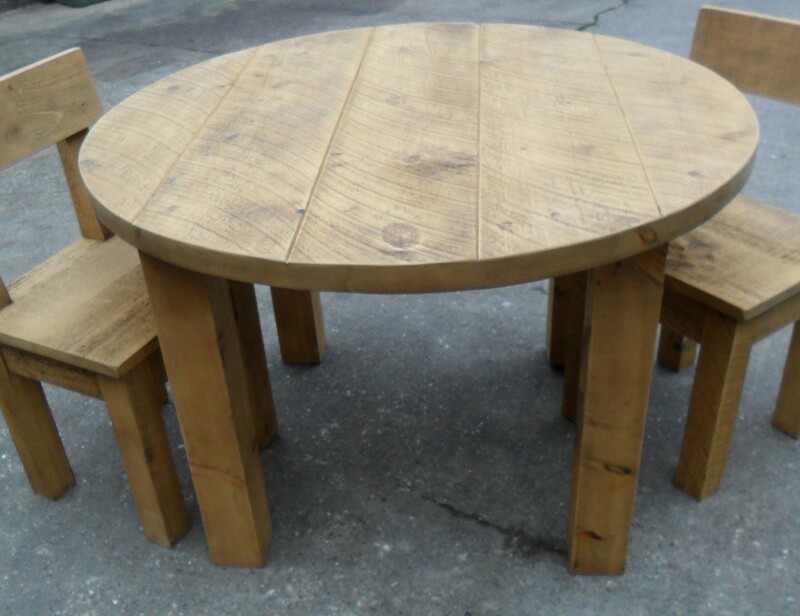 Every Raw Furniture product is individual, so the dimensions given should be used as a guide only. Your piece may have different distinctive knots, grains, and saw markings to the image shown, but we ensure that they are all naturally beautiful. If you require a specific colour, size, or design, please get in touch. 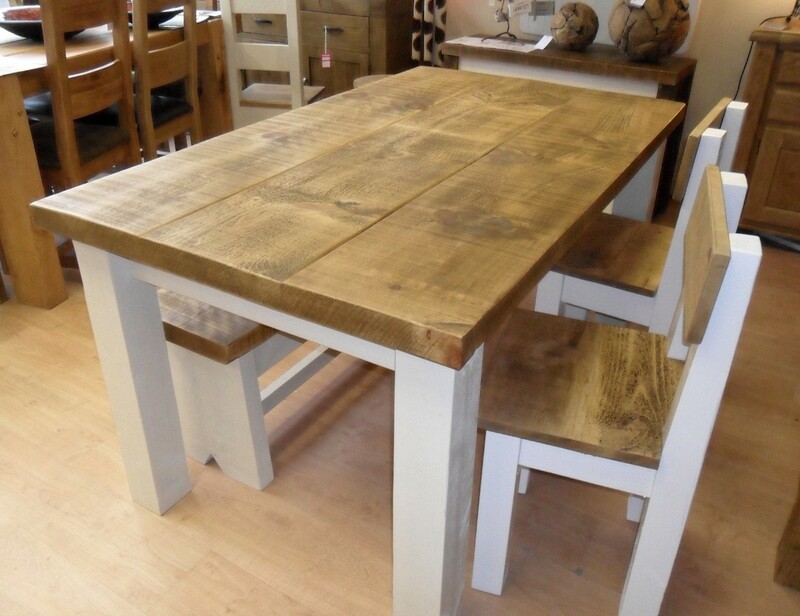 Our talented joiners can tweak and change this table, or you can have your own bespoke Raw Furniture creation. 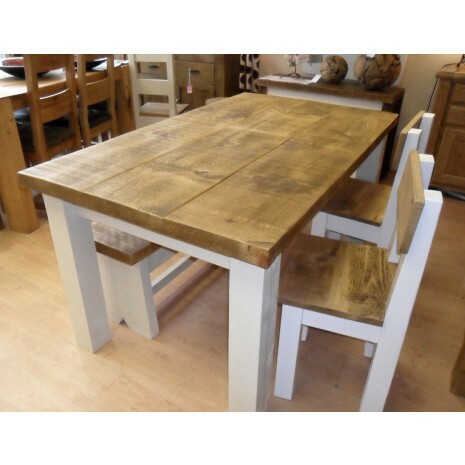 All our furniture is handmade to order in 6-8 weeks, but can be longer at busier periods. Reduced delivery charges apply to some smaller items, please refer to our delivery page or contact us. 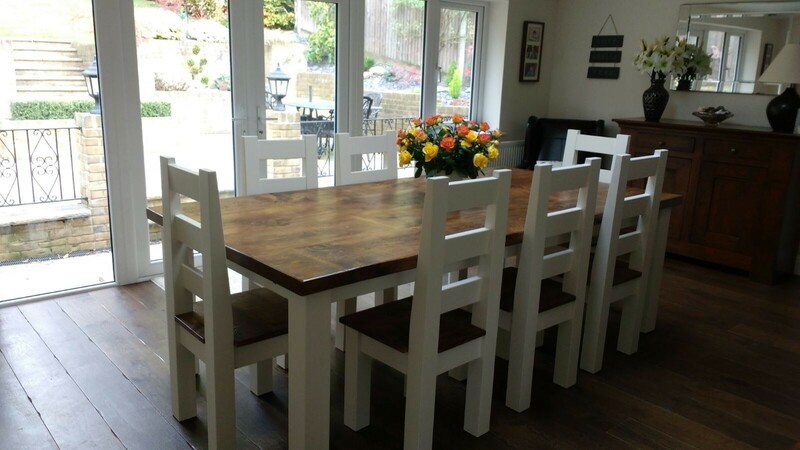 All items are delivered fully assembled, except beds, dining tables and wardrobes which are dismantled for ease of delivery. 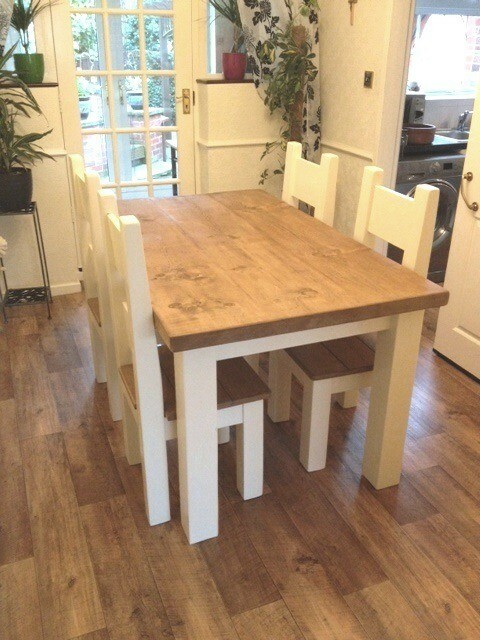 Wardrobes and tables are assembled in situ at no extra cost. Beds can be assembled for a small charge by selecting the assembly option on the item page. Please refer to our Delivery Terms for full delivery information. 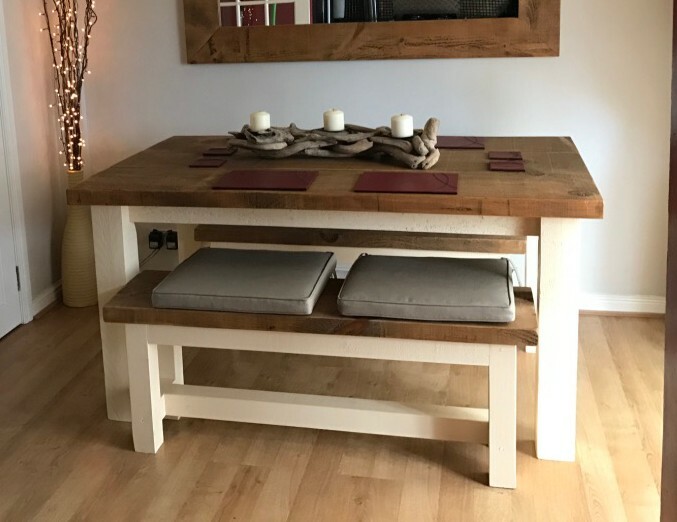 Can be made to measure - please contact us for a quotation.